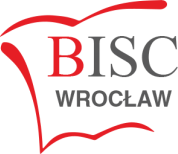 It is our hope that whether you are a prospective pupil or parent, have established links to the School or are an interested browser, this website will give you a better idea of the vibrant community at BISC Wrocław. The British International School of Wroclaw sits in the leafy suburbs south of the city centre, easily reached by road and excellent public transport set in historical buildings from the late 19th century. In the truest sense, our school benefits from the diversity and richness of the ex-patriot and local communities around it and from the wealth of opportunity brought to it by the proximity of some of Europe’s most important cultural attractions. It is a truly vibrant family community, with a strong sense of ambition and breadth of vision. The education we espouse is broad and all-encompassing, giving our students the skills and understanding to think and act for themselves, to engage positively with those around them, to enjoy the opportunities the world offers and to approach the challenges of life with confidence. We hope that you find the website helpful. It gives you a taste of what the School does and the values it upholds. There is no substitute, however, for a visit and I hope that many of you will contact the school secretary to arrange such. I look forward to meeting you.